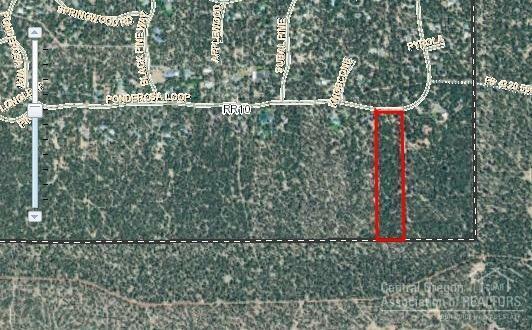 Rare opportunity to acquire one of Ponderosa Pines' coveted and unusual 10 acre lots. Includes garage/living quarters on beautifully treed land backing thousands of acres of private timberland, BLM and National Forest. Garage fully sheet-rocked/insulated and has a cozy wood stove, bathroom and cooking area. Lot must be walked to be fully appreciated. Abundant wildlife in a quiet highly sought-after neighborhood. Ideal Flat Building Site near Pringle Falls and the High Lakes.